Marks & Spencer. they understand that women have curvy figures and that not everyone has really long legs! Black trousers. Any occasion any place. I have to wear flat shoes or I fall over. So - Hotter shoes (granny-shoes as my mother happily calls them) and my £10 eBay trainers that are smart enough to wear to work! When I was younger I was quite the hippie. 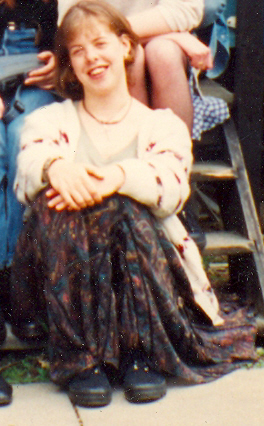 Some of the skirts I had were so unique, and not that expensive. I'm pretty happy with my 'style' (I'm not sure it really deserves that label). I'm too old to change now!